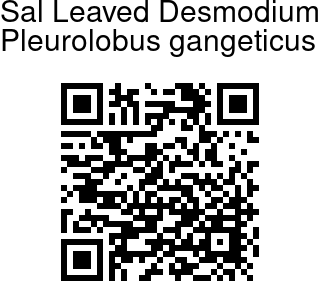 Sal Leaved Desmodium is a coarse herb, growing up to 1.5 m tall, somewhat woody near base. Leaves are simple, which is uncommon for a Desmodium species, ovate- or elliptic, with a narrow tip, obtuse at base, 1.2-15.5 cm long, 0.9-5 cm wide. Leaf stalks are 0.4-2 cm long. 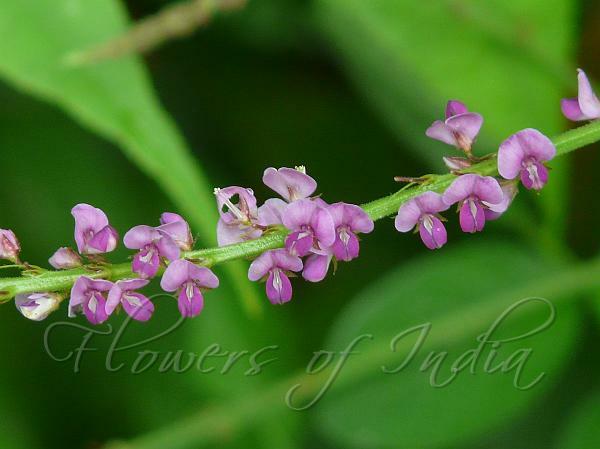 Pea-flower shaped flowers are borne in racemes at the end of branches, or in leaf axils. Racemes are generally very long. Flowers are variable in colour, probably vary from one region to the other, white to red or purple or a combination such as pink and purple or mauve and white. Sepal cup is pale green, tinged reddish. Fruits are almost stalkless, up to 7-8-jointed. Photographed at Yeoor Hills, Thane, Maharashtra & Green Park City Forest, Delhi.